-what fate awaits this rare architectural gem? During the 20th century the name ‘Vinery’ had long since been associated with the house itself but in fact originated from the covered walkway that once stood between the road and the front door of the property. The house has been variously described as having been built in the late Regency period or the second quarter of the 19th century and was a large building situated to the east of and adjacent to St.Mary’s House on the north east corner of the graveyard. 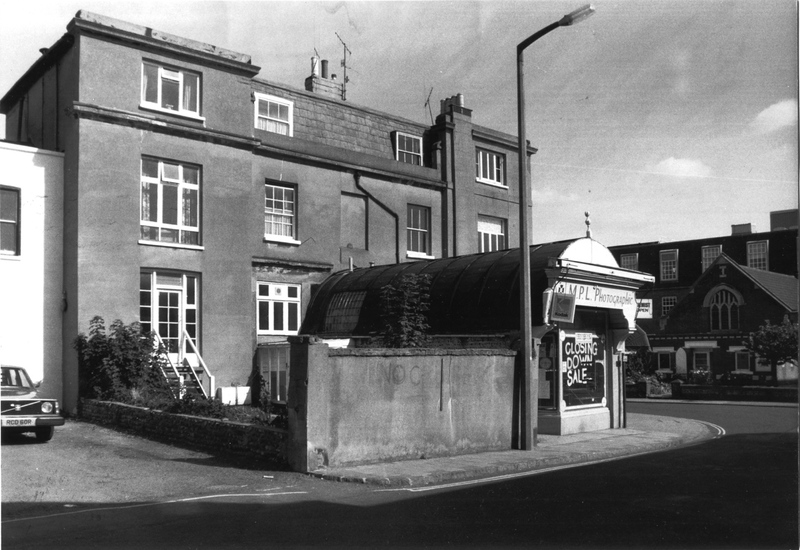 It was a building of two houses – in total known as ‘Brighton House’ in the 1870’s but by the 1890’s the west half became known as ‘The Vinery’ with the other half retaining the original name. “A stucco fronted building of three storeys and cellar that was constructed as two houses. The two front doors were placed within a porch of square columns, which had capitals of debased corinthian form and a variety of Greek-Key ornament. Sometime perhaps before 1845 and certainly by 1871, when the first accurate map accompanied the census return, a covered way was constructed between a gateway on the road and the front doors, interfering with the columned porch. The two side walls of the covered way are of unknapped flints embedded in the cement mortar and, to give sufficient light, a glass roof was provided. It is this feature, later covered inside and out, when the passageway was converted into a shop, that is of considerable historic interest. Although never a greenhouse as such, it is built in a technique pioneered for greenhouses and conservatories. It is semi-circular in section, consisting of curved ribs of wrought iron, joined by a longitudinal member at the apex and standing on two iron ‘wall plates.’ The ribs are fixed by running molten lead into the joints and are spaced approximately six inches apart. In each wall plate is a hole, centrally placed between each rib, probably for condensation drainage. The ribs, which have a narrow shoulder on each side to locate the glass, are of wrought iron (a material no longer made) of such a quality that only negligible corrosion has occurred. The glass is in small panes, overlapping to give cover, and the original ones are very thin, slightly curved and fire-polished in the manner of regency glass. All of this type of construction is derived from greenhouse design. The wrought iron glazing bar, which could be curved without loss of strength, was invented by the Scottish gardener J.C.Loudon in 1816 and this made curvilinear glazing possible. He went on to design greenhouses with semi-domed ends and these were also built with his agreement by the firm of W. & D. Bailey of Holborn in the 1820’s. There is a Loudon type of conservatory in the grounds of the former East Cliffe Lodge, Ramsgate and this was believed to have been built for Sir Moses Montifiore after 1831. The grounds are now the George VI Memorial Park of Thanet District Council and the conservatory was very well restored by local effort a few years ago. There is no obvious reference to ownership or occupation until 1851 and even then the Parish Poor Rate information for that and subsequent years (from which the following has been gleaned) cannot yet be matched with the Census Returns until 1891. 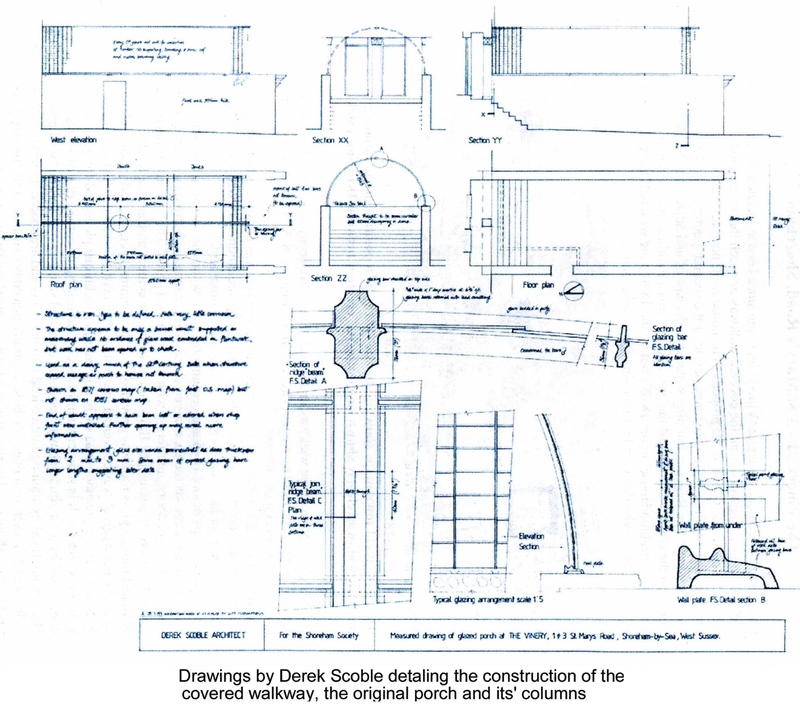 – The structure appears to be only a barrel vault supported on masonry walls. No evidence of glass wall embedded in flintwork but wall has not been opened up to check. 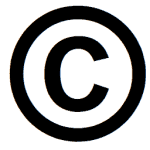 – Used as a dairy much of the 20th century. Date when structure ceased usage as a porch to house not known. In 1851 the owner is shown to be a Mrs M. Marshall and the occupier J. Trevenon but without any suggestion as to whether this was just one half of the building or all of it. Nothing more is known until 1871 when Mrs Kennedy is listed as the owner of both properties titled ‘Brighton House, with W.H.Hooper residing in the western half – the other half being uninhabited. W. H. Hooper was one of the family of the same name that redeveloped much of Shoreham in the 19th century. The total property appears to be noted as ‘uninhabited’ for 1881 but still owned by the Kennedy family but by 1891the owner E.M.Kennedy appears as owner with William Elphick independent and aged 80 in Brighton House ( with his wife Sarah 53, granddaughter Ethel 17 and Ruth Page 25 the domestic servant) and John Lewes aged 55 a retired civil engineer in the newly named Vinery. (with his wife Mary 52, his son George 16 and daughter Winifred 12. Mary Moorey 21 was the domestic servant). In 1901 Kennedy was still the owner but the residents were an N.B.Dele in the eastern half and an Ambrose Baldwin in the Vinery. By 1911 ownership had passed to E.R.Harmsworth and now both Brighton House and The Vinery were occupied by E.R.Kempe, the latter possibly a relation of Dr.C.M.Kempe and his wife who lived at the nearby Chantry House in East Street from 1870 to 1912. The house is also reputed to be the one time home of the widow of William Downey, photographer to the court of Queen Victoria. Although the census records do not show it this could still be quite possible as they are only ‘snapshots’ every ten years of owners and occupiers so that Mrs Downey could well have resided there in between times. More likely is it however that she did not do so until after 1891 as 60 year old William Downey himself appears in the census then as living in Norman Villa, Southdown Road with his sister in law. 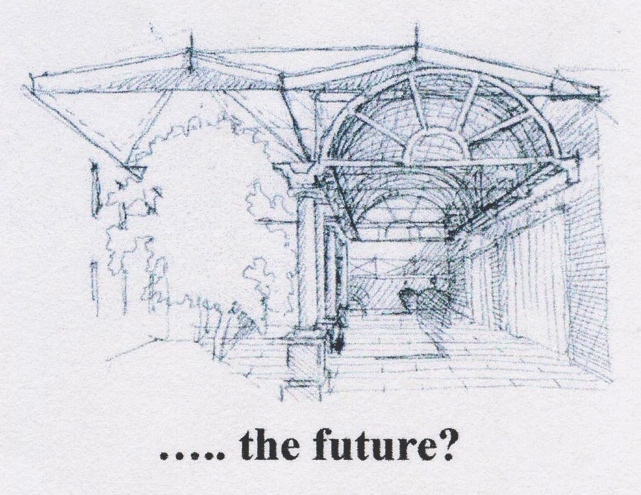 In the late1980’s it was proposed that the Vinery and Brighton House were to be demolished which ultimately gained the approval of the planning authorities despite objections by some. 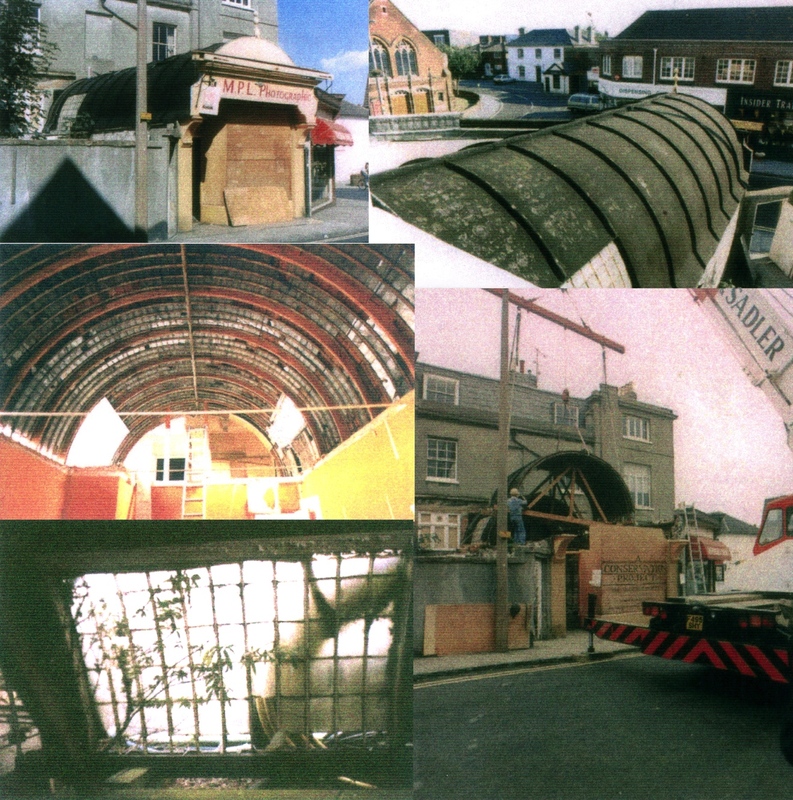 Fortunately, the Shoreham Society managed to salvage the canopy and the work involved in removing it during 1987 is shown by the following photographs. Top Left – The canopied area shortly before demolition (prior to M.P.L.Photographic it had long been used by Batten’s Dairies) Top Right – The canopy viewed from the house. Centre Left and Below – Interior views during removal. Below Right – Lifting the canopy. 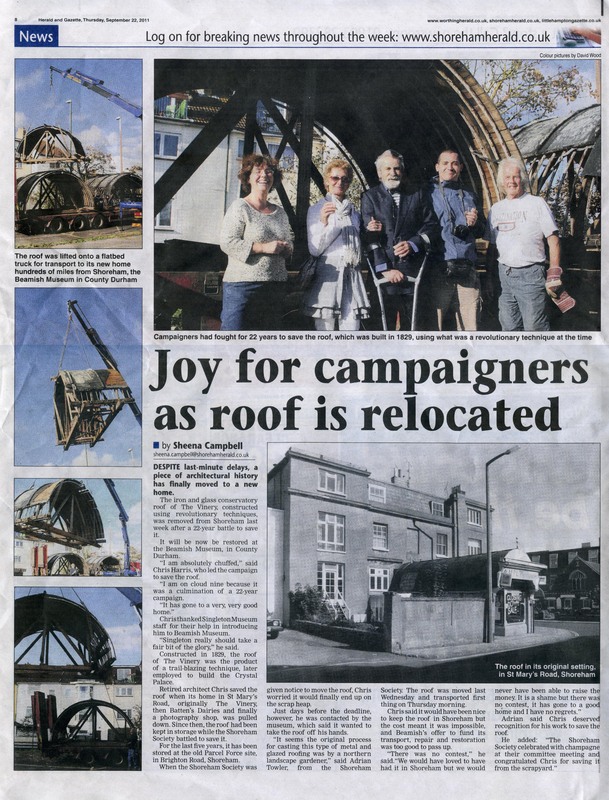 It is to be hoped that the efforts of those in saving this rare architectural example will not be wasted, that those in the position of being able to preserve it in a suitable site continue to be aware of it’s existence and of any opportunities arising, and that we will once again see its’ return to Shoreham. 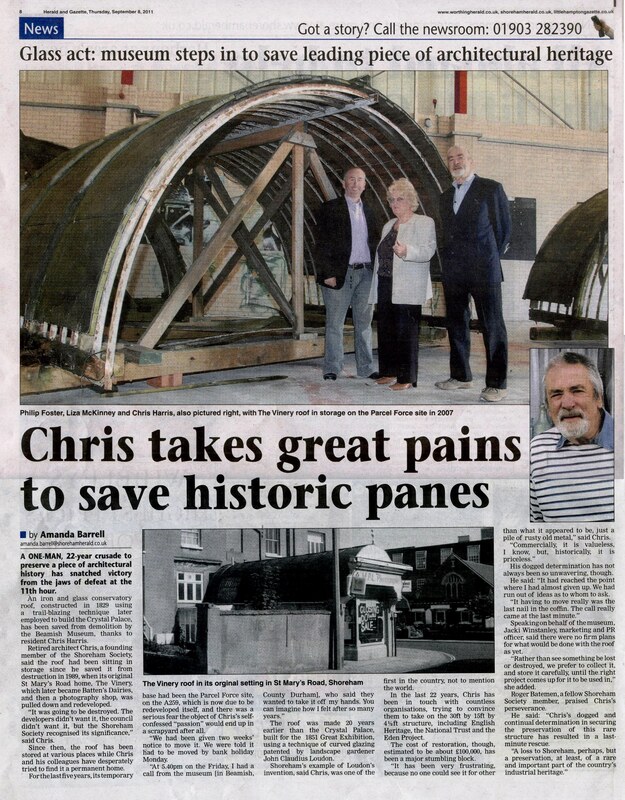 – Since writing this article there has been no further opportunities for re-using the structure and it is said that although all of the glass has been destroyed the iron work remains intact. 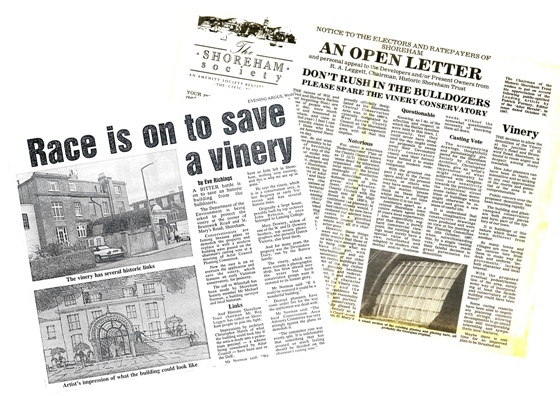 Just recently however there have been tentative suggestions by the Shoreham Society that the Vinery could possibly be included in the proposed redevelopment of the town centre but much would depend on support from the public.